R2C Performance air filters require NO AIR FILTER OILING! This unique benefit of their air filters allow them to be cleaned easily and efficiently using compressed air (50-60 psi) or with a biodegradable detergent. Air Filter Outside Diameter: 3" to 4-1/2". Inlet Flange Inside Diameter (in): 1.25 in. Designed for dirt track racing applications. Is your Kart equipped with R2C racing air filters? It should be! 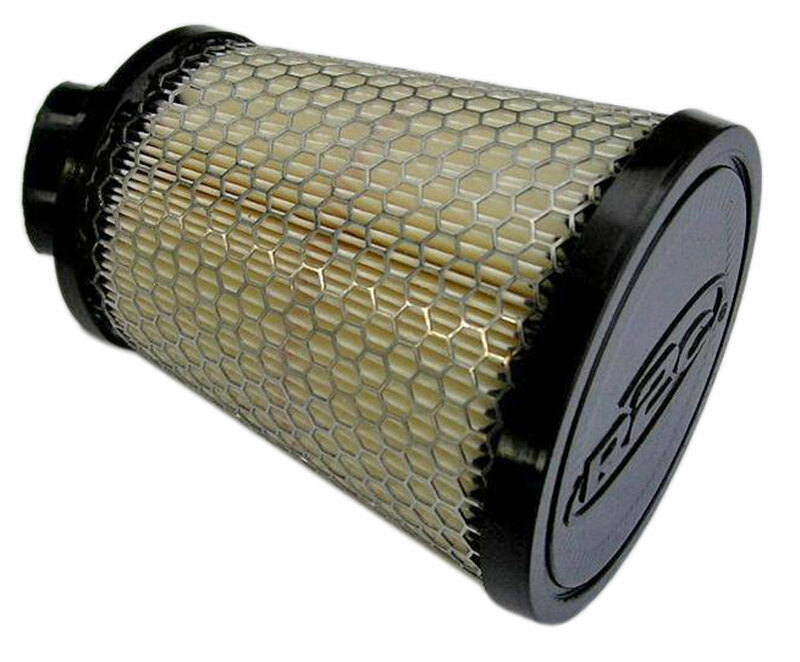 Designed to protect your engine, go kart racing air filters eliminate filter issues in the dustiest track conditions. Other low-restriction filters with little dust capacity will not remain low-restriction for long. R2C racing air filters are American-made from high-loft, all-synthetic fiber, offering no shrinking or degrading. They also offer a perfect fit for your application with extremely low restriction, plus exceptional efficiency and dust-holding capacity. Restriction stays lower longer and your engine stays at peak output longer! R2C Kart racing filters are washable with any biodegradable detergent, but when you're trackside, simply blow them out with compressed air and you're ready to continue racing--no drying or oiling are necessary! Race with a clean filter, a clean carburetor, and a clean engine, thanks to these track-proven, horsepower-improving R2C Performance Kart/Mini Sprint racing air filters.